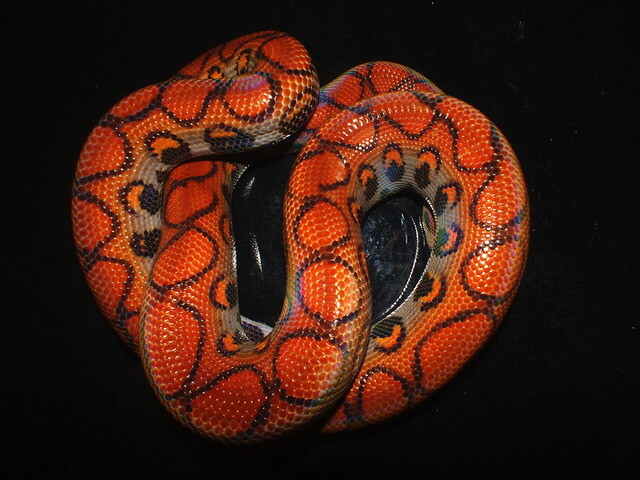 Welcome to Profile 3 of 9 for Living Gems’ 2016 breeding season. Our third group pairs Ericthonius with Spessartine in search of high red babies. As of his pre-breeding weigh-in, Ericthonius measured 1685 grams. 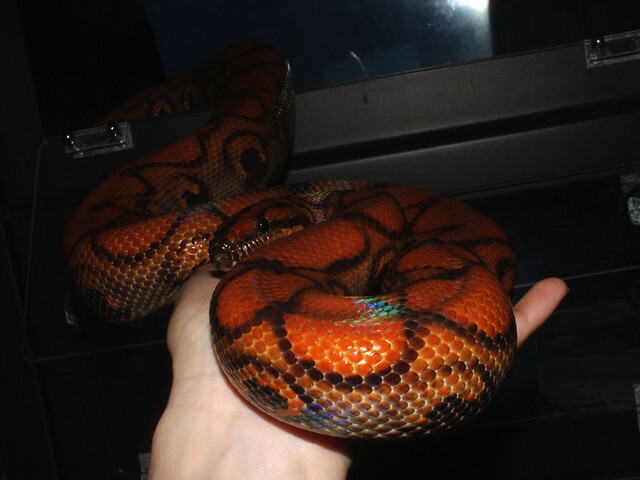 As of her pre-breeding weigh-in, Spessartine measured 2765 grams (yes, that is more than 1000 grams larger than her boyfriend -- you see that in boas all the time, but not in rainbows). Here’s to hoping the Ice Queen has finally met her match.